Romania is a relative newcomer to the IT outsourcing landscape. Although it was freed by communism roughly around the same time as Poland, it took a slower path to what is nowadays considered a pretty successful IT outsourcing destination. Romania is slowly coming out of the “outsourcing” bubble as well. With unicorn companies like BitDefender and UiPath taking the world by storm, a lot of Romanian entrepreneurs are gaining the courage they need to proceed on their own path as well. Among banks, electrical and gas distribution, oil, and communications companies, 2017 saw a few IT companies pop in the Top 100 Most Valuable companies in the country - and what’s most surprising is that they aren’t all multinationals. 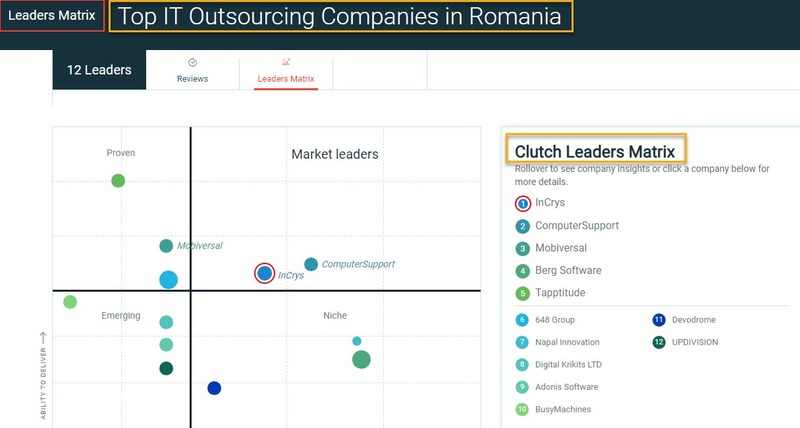 They aren’t IT outsourcing either (as they are focused on their own products) - but the fact that they have reached the top shows that Romania is ready to invest even more in its IT sector. Same as in Poland, a risk-free mentality seems to be an issue in Romania as well. Unlike Poland, however, Romanian legislation has only recently started to encourage IT businesses on its grounds - and legislation in the country is currently quite unstable. Even so, Romania is a good IT outsourcing option for many businesses - and it only makes sense to include it in our guide. This chapter is meant to be a brief look at Romania’s IT success. While not as prosperous as Poland, Romania follows in closely behind - and with EU support and a new mentality shaping the future, this country shows that it has just started. Most of these are located in Bucharest, the capital city of Romania, but some of them are located throughout other cities as well. Tapptitude, is, for instance, located in Cluj-Napoca (also called the Silicon Valley of Romania). Mobiversal (third in the top) is located in an even smaller city, Oradea. Same as in Poland, the weight distribution of IT outsourcing companies seems to be fairly equal among the larger cities of Romania. There is a prevalence for developing more IT businesses in Bucharest and Cluj-Napoca (mostly due to the quality of the technical universities here, but also due to an environment that is thriving and inspiring). In terms of inbound marketing, Romania’s IT outsourcing businesses seem to be less aligned with the same purpose than Polish businesses in the same sector. This might also be due to the fact that a lot of the successful IT outsourcing companies in Romania are fairly new to the landscape, and many of them are maybe still in their “100% outsourcing” phase. Website: most IT outsourcing businesses in Romania have very good websites. In some cases, they even boast their own products (showing an inclination towards moving away from solely outsourcing services). Mobiversal is a good example here - they show off their product on their homepage. Although their overall marketing strategy isn’t focused so much on client attraction (but employer branding), the fact that they have an IT product of their own and that they are making it very product shows signs of maturity and growth. 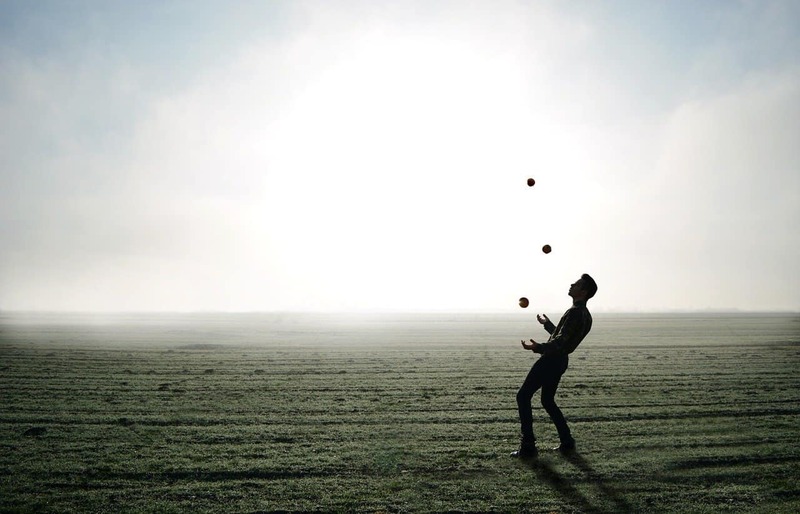 Content Marketing: Like in the case of Poland, content marketing in Romania is scarce. For instance, Mobiversal’s blog focuses on articles geared at future and current employees, rather than establishing them as a leader on the IT market. The same goes for InCrys as well. Tapptitude’s marketing, on the other hand, is a bit more client-focused. Their blog features articles to help potential clients make a choice and articles focusing on bringing their employees forward. Social Media: When present within Romanian IT businesses, social media marketing focuses on employer branding. 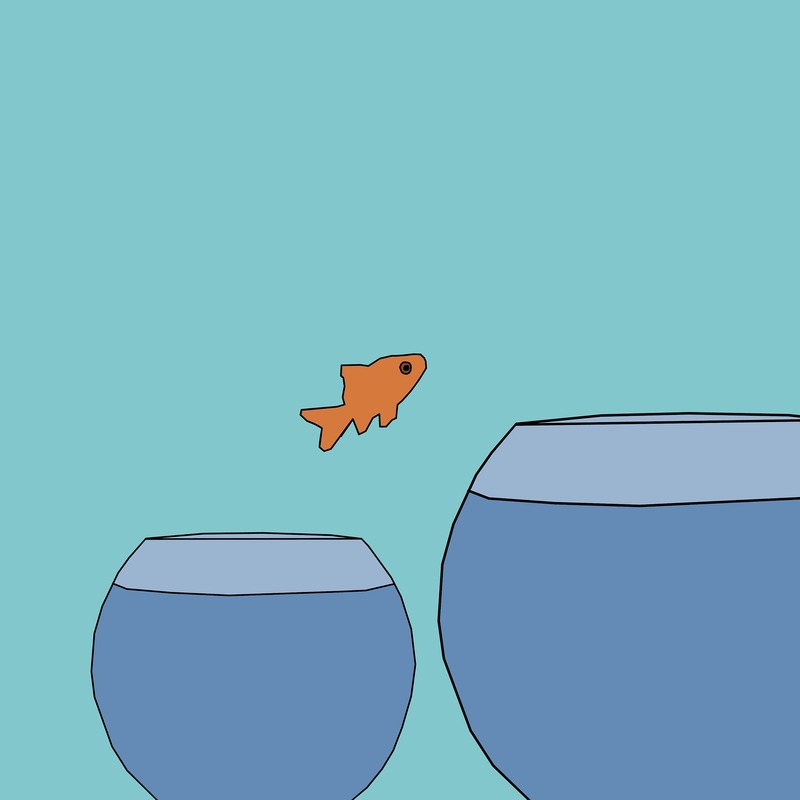 In some cases (such as Tapptitude), the social media profiles haven’t been updated in months. Video Marketing: Romanian IT outsourcing businesses do not seem to invest in video marketing very much - in fact, the phenomenon is scarce and inconsistent and most of the businesses do not even create videos to market their services. Looking at other leading outsourcing IT companies in the Clutch list, they seem to be even less generous with their inbound marketing efforts - they haven’t done much with their blogs, Social Media and other channels. This might be due to the fact that they acquire clients by other means. But, looking at their efforts in general, it can be said that Romanian IT outsourcing businesses are a bit more behind the trend than Polish businesses. The fact that even when they do marketing, most of the IT outsourcing companies in Romania focus more on attracting employees, rather than clients, is quite revealing when looking at the struggles they have to face on the employment market. 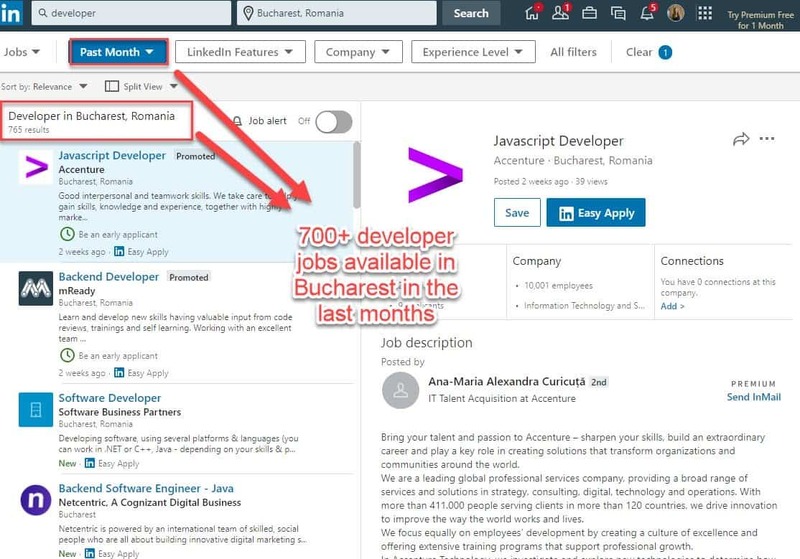 A simple search on LinkedIn reveals 700 new “developer” positions announced in the last 30 days in Bucharest. In Cluj-Napoca, one of the biggest IT cities of Romania, more than 250 jobs with the same “developer” keyword in them were posted in the last month. And in Timisoara, almost 100 jobs were posted with the same “specifications” as well. Keep in mind: LinkedIn job posts are quite pricey, so when job announcements end up there, it means that companies are very eager to find someone for the position. There are several well-ranked technical universities in Romania - Cluj, Bucharest, Iasi, and Timisoara being considered the four major sources of new IT talent in Romania. Every year, thousands of IT graduates from the aforementioned cities find jobs - and even more, change their jobs as well. Romanian talent lingers between job hopping and staying too long in one place. Millennials are reshaping the businesses they work for - and IT is a prevalent choice for many of them, especially since it is already a well-known fact that programming is a future-proof career. The main opportunities presented by the Romanian IT outsourcing sector are connected to the quality of the work, good prices, and a solid English-speaking pool of candidates. This is all familiar, and the main opportunities are mostly the same with those of Poland. Unlike Poland, however, Romania’s legislation is a bit less empowering for entrepreneurs in general. Taxes in Romania can be quite stringent for new businesses - but even so, there are heavy tax exemptions geared at IT companies. For instance, Romanian IT professionals do not have to pay the “tax for profit” (16%), and they can pocket the money instead - which helps them earn more than other specialists in other sectors. Moreover, as part of the EU, Romania can access a lot of funds for business development - and IT businesses are most definitely among those that can receive money from the European Union for their development. The landscape is, indeed, quite similar to that of Poland - and even the challenges are similar at their very core. Rapid and unexpected changes in legislation are marked as one of the biggest challenges for businesses in Romania (not just in IT, and valid for foreign businesses opening subsidiaries in Romania as well). Furthermore, the implementation of legislative requirements seems to be an issue as well. All of these challenges might make it difficult for Romania to move towards a product-centric approach. IT outsourcing businesses might stick to outsourcing for a while from now on - so, if you’re a business that needs to outsource their IT needs to another country, Romania is most likely here to stay. This is not to say Romania isn’t developing their own products - it does, and it does it very well (the two examples given at the beginning of this chapter, BitDefender, and UiPath are actually famous for what they do). However, it might take some time until most of the outsourcing businesses in the Romanian IT gain wings of their own and adventure on the path to developing a product. Both Romania and Poland have the support of EU in their endeavors - but this is not necessarily the case of Ukraine, a country that has been long seen as one of the most reputable and trustworthy providers of IT outsourcing services. Their success is what we want to approach in the next chapter.